Roger has more than 30 years of private and public company experience as CFO, VP of Finance, Controller, and Director of Finance and Administration. His industry background spans manufacturing, distribution, supply chain, and financial services industries. 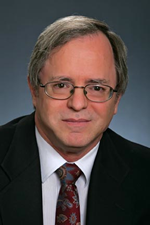 Roger has over 20 years of extensive international experience in Asia and Pacific Rim countries, and was an expert Foreign Lecturer in the Peoples Republic of China for the Central Institute on Finance. 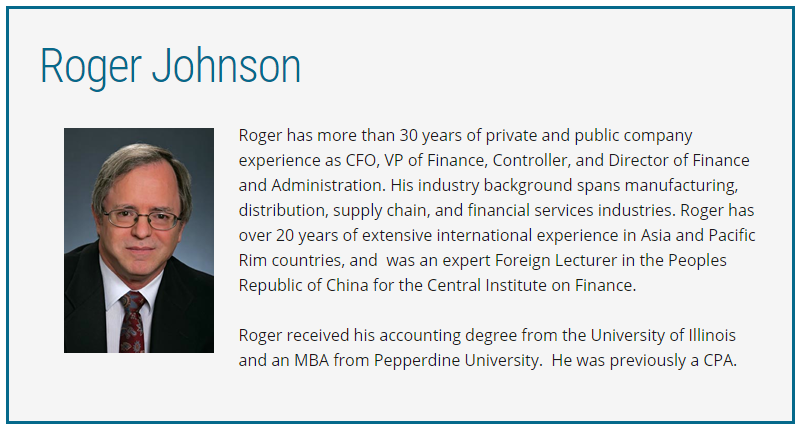 Roger received his accounting degree from the University of Illinois and an MBA from Pepperdine University. He was previously a CPA.